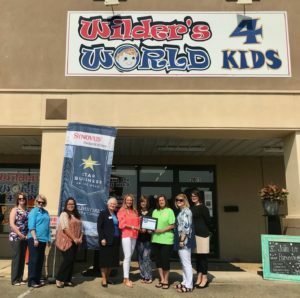 Congratulations to the Albany Area Chamber of Commerce’s Star Business of the Week, Wilder’s World 4 Kids. Wilder’s World is an indoor inflatable business that offers children and parents a one-price “play all day” experience. Featuring 13 different jump houses, Wilder’s World is the perfect place for your child to enjoy open jump or have a birthday party. For more information visit www.wildersworld4kids.com. This entry was posted in Star Business of the Week on August 14, 2018 by Mary Bickerstaff.